Just to make the effect easier to visualize: Imagine you drank a beer too much and now you suddenly think you are Charpu, Mr Steele or Mattystuntz. You mount your FPV camera with 90 degrees tilt (pointing up vertically) because your best friend told you that all the pros do it like this. 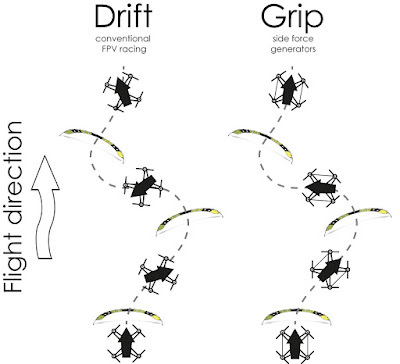 In this case, your roll and yaw control will be interchanged: When you move your RC sticks to roll left, your copter will roll left, but looking through the FPV camera, it appears as if you are yawing to the left! And if you move your RC sticks to yaw left, your copter will of course yaw left, but the image from the FPV cam looks like you would roll to the right! The strength of this effect is somewhat proportional to the camera tilt angle. But already at 25 degrees it can clearly be noticed. It doesn't really make sense to have control in the copters frame of reference when flying FPV. It does make more sense to shift the frame of reference to the FPV camera and to eliminate the effect of camera tilt: Moving the roll stick of the transmitter should roll the camera image only, it shouldn't add some undefined amount of yaw. 'camera_tilt' is the angle (in radians) that your FPV camera is tilted up with respect to the propeller disks. It is a constant. I am using 25 degrees of camera tilt (= 0.436 radians). 'Roll_input' is the roll rate that you steer with your remote control. 'Yaw_input' is the yaw rate that you steer with your remote control. 'Roll_output' is the setpoint for the multicopters roll rate. 'Yaw_output' is the setpoint for the multicopters yaw rate. I am not familiar with other flight controllers, but I guess this feature might have been implemented already in some of them. Otherwise it really should be implemented...! 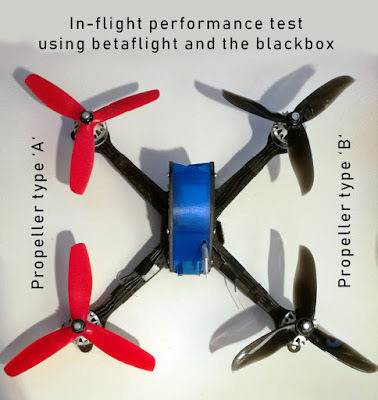 I'm thinking of trying this out using betaflight with a mix in the transmitter. However, I think expo configured in the flightcontroller for roll, pitch and yaw would not work well together with this. What do you think? 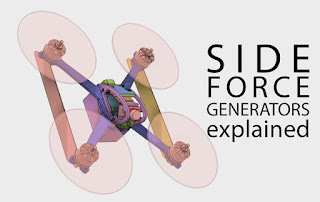 You can do it in Cleanflight through the board alignment settings such as align_board_pitch. It might work ok on small angles, but I thinks William is correct that this translates the board alignment to the frame (thrust angle). Are you sure that this sets the rotation of the inputs to the board and not the boards alignment to the frame...? I can see that you a an expert at ur field! I am launching a website soon, and your information will be very useful for me.. Thanks for all your help and wishing you all the success in your business. Can this feature be activated by a switch? So I could deactivate it for landing? I have yet to find time to try it, but seems to accomplish in betaflight exactly what you've accomplished here. Thoughts?